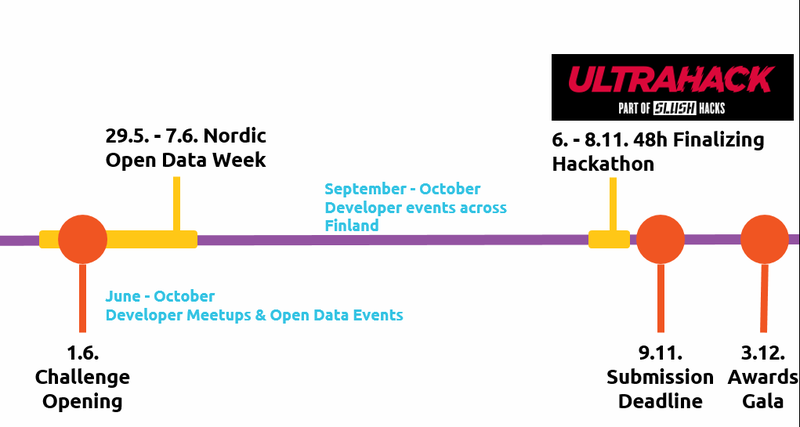 During the fall of 2015, there are over 20 developer events and other special events across Finland. These are fantastic opportunities to build your team, showcase your skills, or get feedback and advice from our partners. See also Open Knowledge Finland event calendar. Open Knowledge Finland event calendar includes the Open Finland Challenge events AND other open knowledge events.